Did you see that yaw control? Not sure I've ever posted a build thread but figured better late than never. Here is my cardstock Vigilante. It's a label wrap over MMX body tube from ASP. 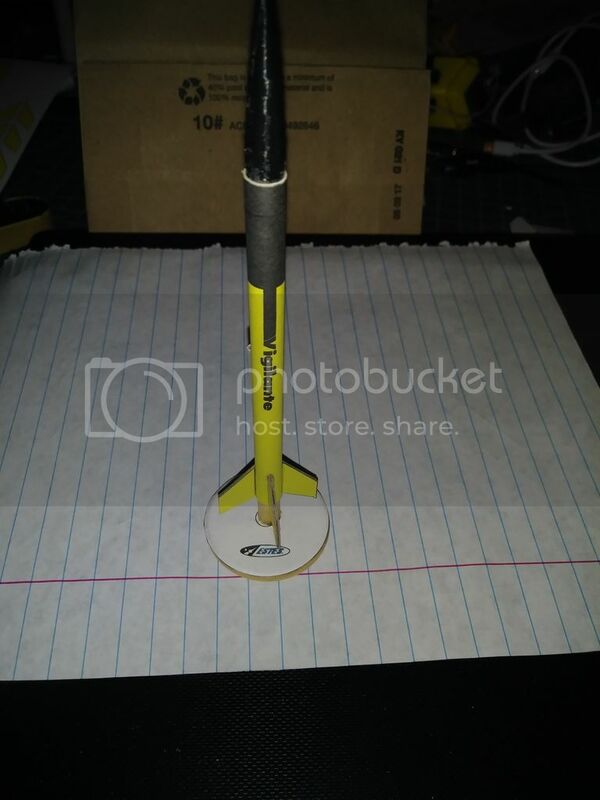 A 3D printed Nose cone, Kevlar thread shock cord and streamer recovery. Finished weight is .09 oz. This will fly as a two stage with an MMX-NE motor. I've also scaled it to 13mm size and hope to fly it at my next club launch.